Call either of our office locations, or fill out the form below to send an e-mail and we'll get back to you as soon as possible. When should my child and I plan on arriving? What happens once my child is taken back? It depends on the age of the child. 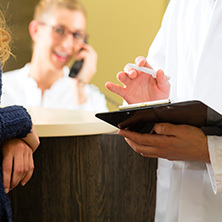 The process can be anything from a simple “knee to knee exam” where the dentist visually checks the teeth, brushes the teeth, and paints a fluoride varnish on the teeth. More extensively, there could be the need for a full exam with rotary brush cleaning, full x-rays, and a discussion of the necessary procedures moving forward. Why is Anthem different from any other Dental Company? 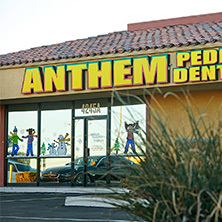 Anthem Pediatric Dentistry has 6 pediatric dentists, one general dentist, and one orthodontist on staff. What makes a Pediatric Dentist different from any other Dentist? A pediatric dentist has two to three years of specialty training following dental school and limits his/her practice to treating children only. Pediatric dentists are the pediatricians of dentistry. Pediatric dentists are primary and specialty oral care providers for infants and children through adolescence, including those with special health needs. Since every child is different, pediatric dentists have a wide range of approaches to help a child complete needed dental treatment. A pediatric dentist makes a recommendation of behavior guidance methods for the child based upon health history, special health care needs, dental needs, type of treatment required, the consequences of no treatment, emotional and intellectual development, and parental preferences. Board certified pediatric dentist: Drs. Cox and Ellsworth are both board-certified pediatric dentists. 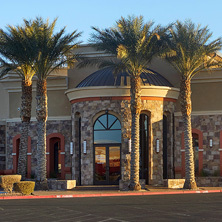 A Diplomate of the American Board of Pediatric Dentistry is a pediatric dentist whose credentials have been verified, who has successfully completed voluntary examinations, and who demonstrates specialized knowledge and skill. A Diplomate is dedicated to providing exceptional patient care through a voluntary commitment to lifelong learning. 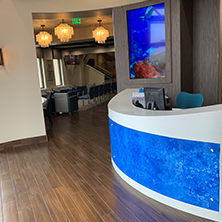 ©2019 Anthem Pediatric Dentistry. Do not copy. All rights reserved.